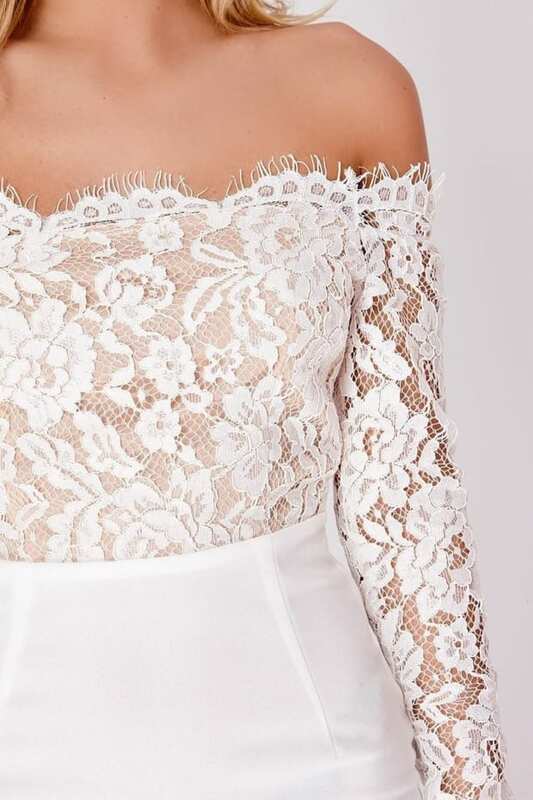 Score a wardrobe win with this beaut mini dress from Billie Faiers collection! 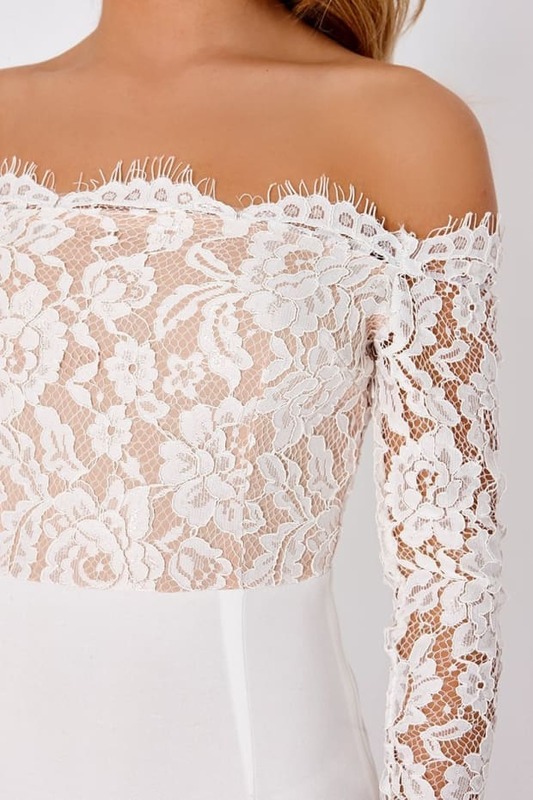 In crisp white featuring a bardot neckline, we're loving the lace top, eyelash trim and frill hem. Style with your favourite heels and clutch bag and you won't be able to avoid the spot light!